The Phillies continued their new approach on the second day of the MLB amateur draft, taking college players with their opening three selections of the day. Taken in the 3rd round (81st overall) was outfielder Aaron Brown, out of Pepperdine. In his junior season this year, the California native posted a .310/.349/.539 slash line with team highs in homers (12) and RBI (47) for the Waves. Also a lefty hurler, Brown tallied a 12-1 record with a 2.07 ERA and an 8.28 K/9 mark in 16 games. Brown, a left-handed batter, was drafted by Cleveland last year and by Pittsburgh out of high school, but did not sign. 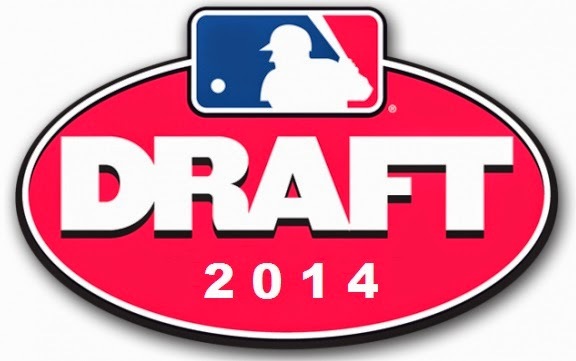 The Phils' 4th round selection (112th overall) was Chris Oliver, a right-handed pitcher out of Arkansas. In his junior season, the six-foot-four 180-pounder posted a 9-4 record with a 2.51 ERA and a 5.69 K/9 mark in 16 starts. Oliver was in the news recently, as he was charged with DWI just a couple days ago. A 20-year-old, Oliver is likely in store for some considerable legal concerns stemming from this week's arrest. In the 5th round (142nd overall) the Phillies took Rhys Hoskins out of Sacramento State. In 59 games this year, the six-foot-four 225-pounder sported a .319/.428/.573 slash line as a junior. Hoskins, who was a top performer in the Cape Cod League last summer, graduated from Jesuit High School in California, the same school attended by two other Phillies prospects, Dan Child and Zach Green. In the 6th round, the Phillies chose left-hander pitcher Brandon Leibrandt, son of former big leaguer Charlie Leibrandt, who is best remembered for his time with the Royals. The younger Leibrandt, a six-foot-four 205-pounder, missed most of the season this year after being hit in the knee with a line drive. In six games as a junior, Leibrandt posted a 4-1 record with a 1.83 ERA. Its likely the Georgia native would have been drafted earlier if he had been healthy this season. The Phillies' 7th round pick was shortstop Emmanuel Marrero out of Alabama St. Touted for his defense, the Puerto Rico native is not known to possess much power. In his junior season, Marrero batted .329 with four home runs, 58 RBI and eight steals. For more of these running draft updates, check out the full/original post over on PHILLIESNATION.COM.